Posted by Tantumblogo in Basics, disaster, Domestic Church, error, foolishness, General Catholic, Interior Life, It's all about the $$$, persecution, scandals, secularism, Society, the struggle for the Church. Responding to the latest revelations of marked bias against conservative viewpoints at Facebook (after previous revelations regarding not just bias, but outright persecution of conservative viewpoints on Twitter), one of the two blogs I still have time to read, is calling for a total conservative pullout of all social media. I say here here, I’m glad I deleted my Facebook long ago and don’t plan to ever return. I’ve never been on Twitter. Blow Up Your FaceBook Account. Quit With Extreme Prejudice. It’s time to rattle ten million sabers and begin destroying rotten institutions one by one. Make them fear us. Brave men and women do not continue along in their passive acceptance of a meritless enterprise. Brave men and women resign. They don’t just stay on board merely because a bad habit has become a habit. I’m a proud Twitter Quitter and my life has improved since I cut the progressive IV drip. Hey, remember the old days when keeping in touch with your friends meant actually keeping in touch with your friends — getting together, having a phone chat, even going old school and dropping a letter? In what sense is it “keeping in touch” with people when your “keeping in touch” is automated and consists of looking at someone’s wall for two seconds? And hey — if there are people in your life so ancillary to your existence that “keeping in touch” consists of publishing “news items” about yourself every few days, maybe they’re not really you “friends” at all, but very shallow zombie relationships you’re maintaining the fiction of in order to feel a social connectedness, the real version of which you’re denying yourselves by pretending at it on FaceBook. Destroy FaceBook. Destroy Twitter. Destroy ABC/Disney/Marvel/ESPN. Destroy NBC……. 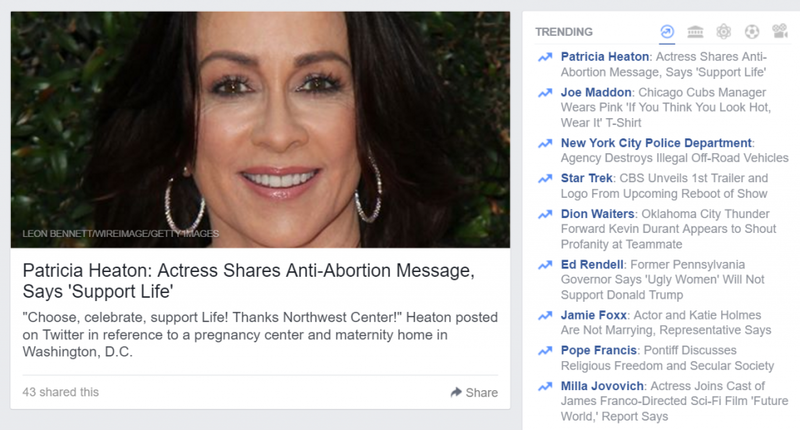 fter Facebook started persecuting pro-lifers a couple of years ago, blocking their viewpoints or labeling them “extremist,” I quit. I got sucked back in briefly once, again to see something I couldn’t find elsewhere (which is a bad habit in and of itself, putting important Church-related content only on Facebook), but killed the account again several months ago. Of course, they still have, and sell, all the personal preference data they gleaned from me during my membership. More than a few Catholics I know have a bit of a Facebook addiction. They spend hours on it most days. This especially affects younger people (<30) and, surprisingly, Catholic moms. A lot of Catholic stay at home moms use Facebook as a social outlet. I can understand that. And there are a lot of good Catholic resources on FB. My views on that aren’t quite as harsh as Ace’s above, but I do think, generally, Facebook and Twitter are massive time wasters. Yeah it can be a convenient way to “stay in touch,” but how much time is spent just idly scrolling through the feed looking at a whole bunch of stuff of very questionable merit? Do you really need to post that photo of the Vietnamese vermicelli you had for lunch, or see your ex-high school crush’s new girlfriend? Etc. People sometimes ask me how I have time to read as much as I do, blog, etc. Well, watching maybe 1 hour of TV a week, and that almost entirely movies (or pre-1970 Westerns) is one way. You’d be amazed how much more productive you can be when you cut the cord. Make a statement. Just quit. Or at least, find a conservative alternative, like Full 30 is a gun-centric conservative alternative to Youtube. Stop giving money to your progressive overlords, the very people trying to crush the Christian religion, choke the life out of the Faith, and turn your children into progressive zombies.